Dr. Kyung-Min Nam holds a Ph.D. in international development and regional planning from the Massachusetts Institute of Technology (MIT), and joined the Faculty of Architecture at the University of Hong Kong (HKU) in fall 2014. His interests are in the institutional and policy dimensions of economic and environmental sustainability, and his current research focuses on the analysis of health effects of urban air pollution and climate co-benefits of air pollution abatement, and on the development of an urban growth model based on new economic geography theories. Zhang, X., X. Ou, X. Yang, T. Qi, K.-M. Nam, D. Zhang, and X. Zhang. 2017. Socioeconomic Burden of Air Pollution in China: Province-level Analysis Based on Energy Economic Model. Energy Economics 68: 478-489. Nam, K.-M. 2017. Is Spatial Distribution of China’s Population Excessively Unequal? : A Cross-country Comparison. Annals of Regional Science 59(2): 453-474. Li, X. and K.-M. Nam. 2017. One Country Two “Urban” Systems: Focusing on Bimodality in China’s City-Size Distribution. Annals of Regional Science 59(2): 427-452. Nam, K. M. 2016. Need for Coordination between Greenhouse Gas and Pollution Abatement Regulations: China’s Case and Its Implications for Korea. In Quantitative Regional Economic and Environmental Analysis for Sustainability in Korea, edited by E. Kim and B.H.S. Kim, Singapore: Springer. Nam, K.-M. 2015. Compact Organizational Space and Technological Catch-up: A Comparative Study of China’s Three Leading Automotive Groups. Research Policy 44(1): 258–272. Nam, K.-M., C.J. Waugh, S. Paltsev, J.M. Reilly, and V.J. Karplus. 2014. 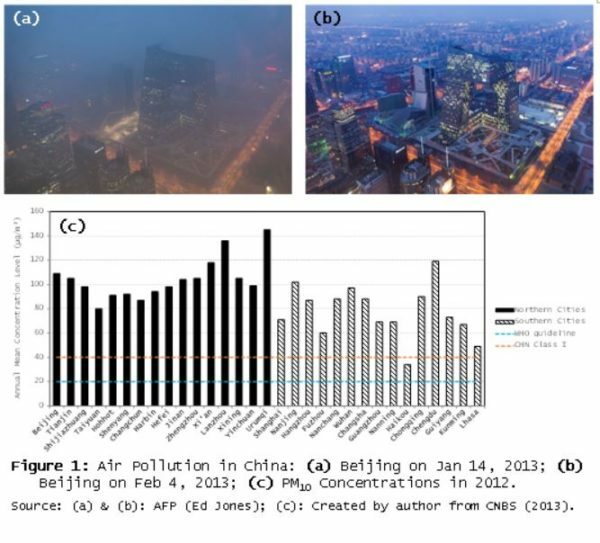 Synergy between Pollution Control and Climate Policy: Comparing China and the United States. Energy Economics 46: 186-201. Park, S.-A., B.-Y. Kim, W.-C. Jang, and K.-M. Nam. 2014. Imperfect Information and Labor Market Bias against Small and Medium-sized Enterprises: A Korean Case. Small Business Economics 43(3): 725-741. Kim, E.-J., G. Hewings, and K.-M. Nam. 2014. Optimal Urban Population Size: National vs Local Economic Efficiency. Urban Studies 51(2): 428–445. Nam, K.-M., C.J. Waugh, S. Paltsev, J.M. Reilly, and V.J. Karplus. 2013. Carbon Co-benefits of Tighter SO₂ and NOx Regulations in China. Global Environmental Change 23(6): 1648-1661. Nam, K.-M. and X. Li. 2013. Out of Passivity: Potential Role of OFDI in IFDI-based Learning Trajectory. Industrial and Corporate Change 22(3): 711-743. Reilly, J.M., S. Paltsev, K. Strzepek, N.E. Selin, Y. Cai, K.-M. Nam, E. Monier, S. Dutkiewicz, J. Scott, M. Webster, and A. Sokolov. 2013. Valuing Climate Impacts in Integrated Assessment Models: The MIT IGSM. Climatic Change 117(3): 561-573. Nam, K.-M. and J.M. Reilly. 2013. City-Size Distribution as a Function of Socioeconomic Conditions: An Eclectic Approach to Downscaling Global Population. Urban Studies 50(1): 208-225. Matus, K.J., K.-M. Nam, N.E. Selin, L.N. Lamsal, J.M. Reilly, and S. Paltsev. 2012. Health Damage from Air Pollution in China. Global Environmental Change 22(1): 55-66. Nam, K.-M. 2011. Learning through the International Joint Venture: Lessons from the Experience of China’s Automotive Sector. Industrial and Corporate Change 20(3): 855-907. Nam, K.-M., N.E. Selin, J.M. Reilly, and S. Paltsev. 2010. Measuring Loss in Human Welfare Caused by Air Pollution: A CGE Analysis for the European Region. Energy Policy 38(9): 5059-5071. Selin, N.E., S. Wu, K.-M. Nam, J.M. Reilly, S. Paltsev, R.G. Prin, and M. Webster. 2009. Global Health and Economic Impacts of Future Ozone Pollution. Environmental Research Letters 4(4): 44014 (9pp). Nam, K.-M. 2009. Spatial Integration of Corporate R&D and Mass Production Activities: A Case Study of Samsung Electronics. Korea Spatial Planning Review 62: 125-145. Matus, K.J., T. Yang, S. Paltsev, J.M. Reilly, and K.-M. Nam. 2008. Toward Integrated Assessment of Environmental Change: Air Pollution Health Effects in the USA. Climatic Change 88(1): 59-92.